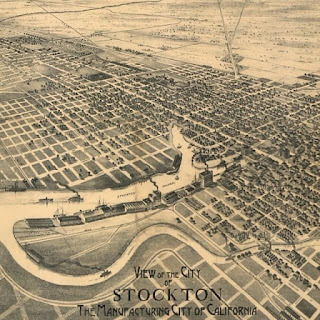 In 1910, Stockton, California was a growing city of 23,000 people. 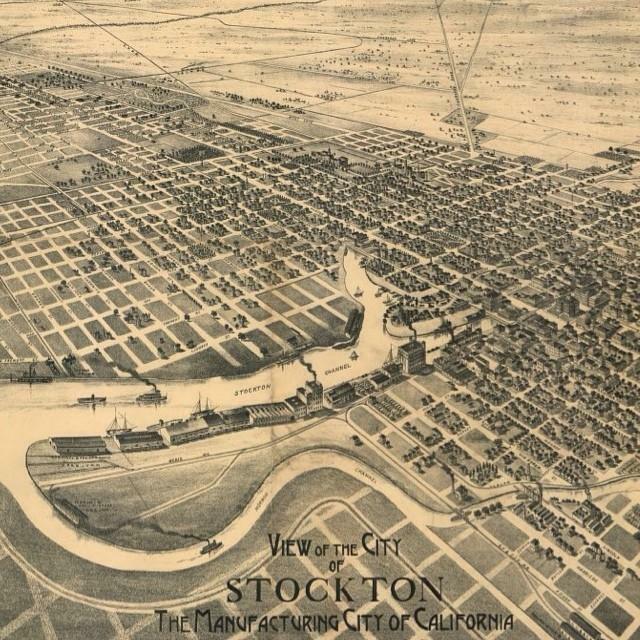 Just ten years before, the city had 17,000 people, so people were moving to Stockton, were jobs could be found in agriculture, industry and transportation. Among them were some Chamorros from Guam. There were still commercial ships, some of them whalers though in decreasing number, that passed through Guam in the 1890s, and some Chamorro men joined the crew. From there they landed in Hawaii, the US West Coast and other places. Ben Santos, 21 years old. He arrived in California in 1898. He worked as a cook in a tamale factory. Joe Armandola, age 32 years. He arrived in California in 1898. He worked as a tamale maker. I wonder if his surname was really Mendiola. Bob Santos, 30 years old. He, too, arrived in California in 1898. He was a butcher. Joe Gros, 25 years old. He arrived in California in 1894. He was a cook on a steamer. If he really was 25 years old in 1910, then it means he arrived in California at age 9 years! Not impossible, but that is awfully young to leave home. But.....people often just guessed their ages and were often notoriously off from their actual ages. Gros is not a surname found on Guam, and could be a shortcut of Guerrero, or a nickname of some other origin. Chamorros seems to have found jobs as tamale makers. In other records, I found Chamorro tamale makers in San Francisco in the early 1900s. The tamales made were Mexican, using corn husks rather than banana leaves as wrappers, as is done the Chamorro way. Despite this and other differences between Mexican and Chamorro tamales, the basic idea and ingredient (corn meal) were the same. Chamorro seamen often got new names and went by nicknames, as well, so don't be surprised by names like Armandola and Gros, and they all had nicknames (Ben, Joe, Bob) rather than Vicente, Jose and Roberto. In 1910, all four Chamorro men were single, but maybe in time some or all of them got married. It's hard to track them down in future censuses because they sometimes changed their names or put down Spain or the Philippines as their home country. This is because the Marianas had been under Spain and had been a province of the Philippines under Spain. The boarding house they lived in housed around 30 people, men and women, from all over the world. When in close proximity to Mexicans, Chamorros in the US in those days tended to associate and even identify with Mexicans than with other races (or with the Portuguese in Hawaii), because they really did a lot in common at the time.